Deeside Holiday Park (Maryculter) - Deeside Holiday Park is a tranquil retreat set in the southern valley of the River Dee ideal for "getting away from it all". And yet, the park is only a few miles from the lively city of Aberdeen - "the granite city" with its sparkling stone architecture and its international culture as the Energy capital of Europe. 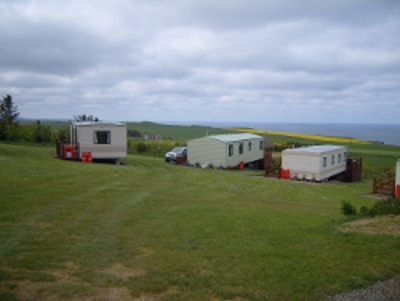 East Bowstrips Caravan Park (Montrose) - East Bowstrips Caravan Park is located on the Aberdeenshire coast and close to St Cyrus beach and Nature Reserve. A quiet, friendly park makes an ideal base for a relaxing, peaceful holiday. Wester Bonnyton Farm (Banff) - Wester Bonnyton caravan & camping park offers countryside holiday accommodation at Gamrie, two miles away from Macduff , near Banff, in North East Scotland.� It is a peaceful, tranquil� camping site overlooking the Moray Firth sea.� The nearby beaches are clean, and many swim during the summer. 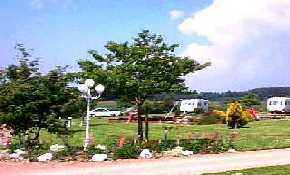 Dovecot Caravan Park (Laurencekirk) - Dovecot Caravan Park is a country site of 6 acres, situated conveniently near the A90 exactly half way between Aberdeen & Dundee. 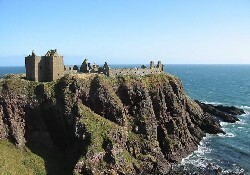 Placed in a warm hollow surrounded on three sides by banking, small trees and The River North Esk. 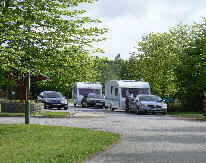 Feughside Caravan Park (Banchory) - A small family run park in the beautiful valley of the Feugh. Set in the heart of Royal Deeside, the Feughside Caravan Park offers holiday makers the chance to relax in this lovely peaceful area of Scotland. Huntly Castle Caravan Park (Huntly) - Huntly Castle Caravan Park is situated in 15 acres of beautifully landscaped grounds close to the River Deveron and only a five minute walk to the town centre of Huntly.